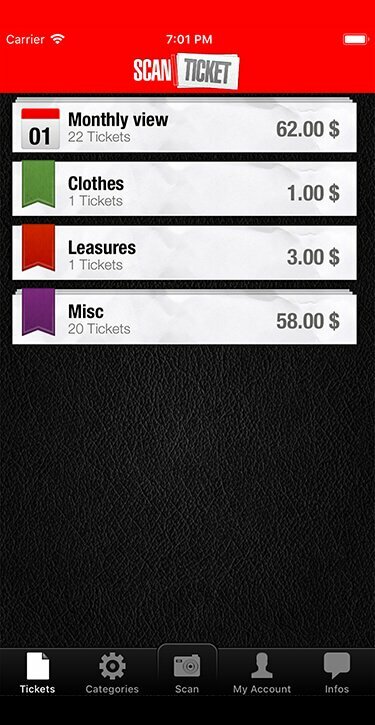 The Best Receipt Scanner App to get rid of bulky papers. 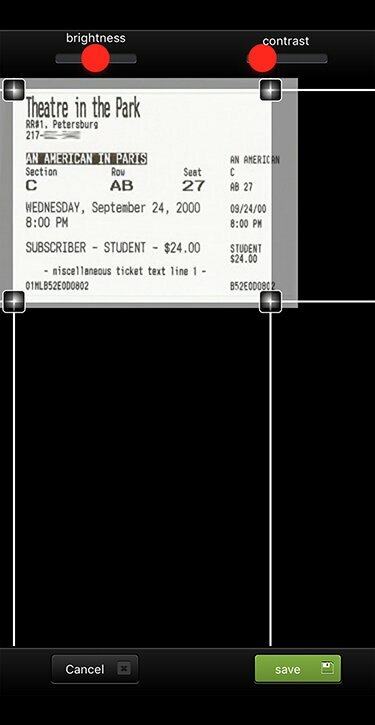 ScanTicket is the best iPhone Application to scan into your pocket all your Receipts and Tickets. 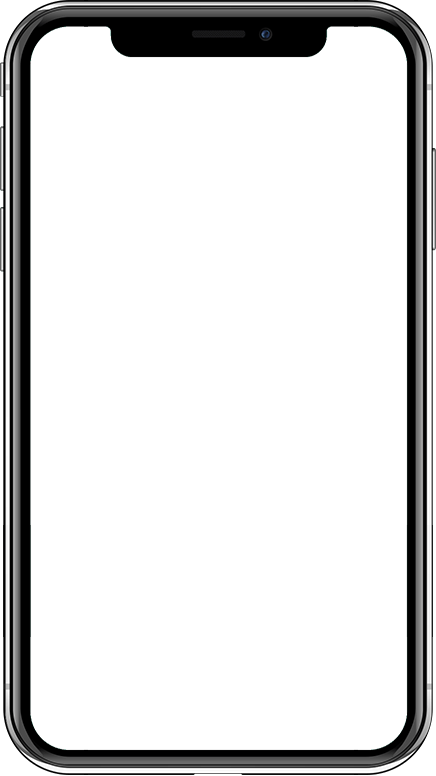 See features. I love this app! 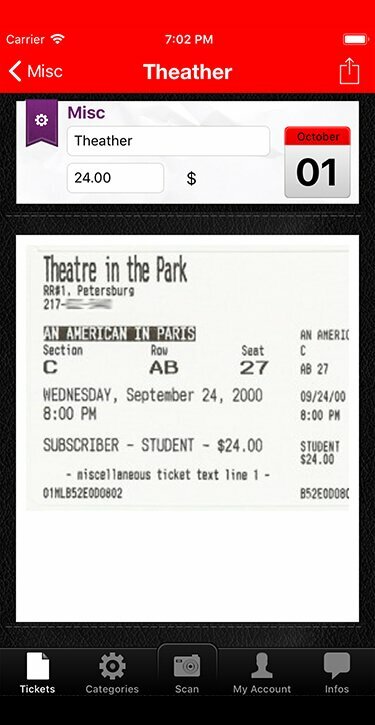 Keeps me on track with my budget and spending and what's even better I just scan my ticket receipts and I'm done and I get to categorize them properly for future reference! 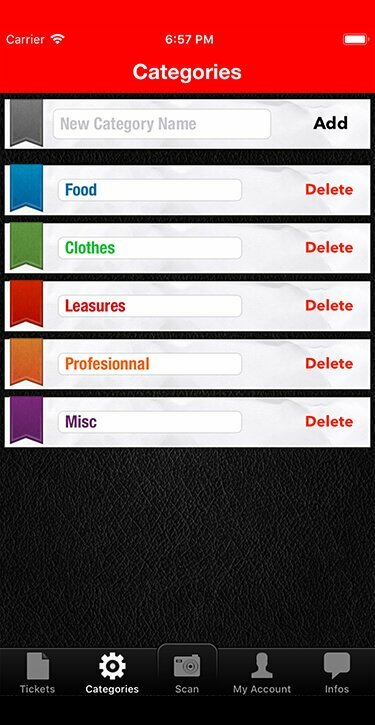 Does everything I need it too, from keeping track of expenses for my credit cards, to planning budgets according to the info I can record on this app!